INVERNESS, SCOTLAND—In just a few years the Aberdeen Asset Management Scottish Open has risen in stature as the preliminary event to The Open Championship. When the event became hosted by a true links layout in 2011 after having been hosted for 12 years at perpetually wet and soggy Loch Lomond Golf Club — the enthusiasm of the players — particularly on the American side picked up considerably. In years past the Scottish Open was played in a different time of the calendar and the usage of a facility far from the coast often meant little meaningful prep work for The Open Championship where being able to use aerial and ground games is essential. The infusion of needed sponsorship money from Aberdeen Asset Management played a key role as well. When organizers opted to abandon Loch Lomond after a number of years the belief was that a legitimate links venue would be crucial in changing perceptions. That game plan has worked exceptionally well. The Scottish Open started in 1935 but has only recently blossomed. In 2009 Castle Stuart Golf Club opened and the resulting fanfare was that the facility could hold such an important event. By 2011 the facility hosted its first Scottish Open won by Englishman Luke Donald. Two years later the event truly elevated its overall stature when PGA Tour star Phil Mickelson played and won the title in an epic finish over South African Brandan Grace. This was the same Mickelson who just a few weeks prior had blown a late final round lead at the US Open at Merion in eventually losing to winner Justin Rose. Lefty would use the victory at Castle Stuart as the springboard for his sensational triumph in winning The Open Championship at Muirfield with a tour de force final round 66. 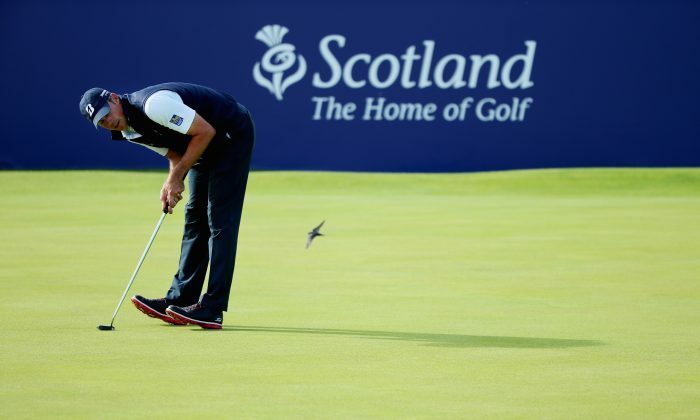 The Scottish Open has benefited in moving to different locations. In 2014 Rose won the title at storied Royal Aberdeen Golf Club. Last year American Rickie Fowler added an international title to his growing portfolio of wins with a victory at Gullane #1. The time table has worked very well. For Americans it’s crucial to adjust to the clear weather differences from the continental USA. The Scottish weather is always fluctuating — being able to adjust to the fescue turf and the resulting bounce of the ball after it lands are all elements needed for success ultimately in The Open Championship in the week following. Returning to Castle Stuart for the ’16 event once again showcases the brilliant design work from the hands of Gil Hanse — the man responsible for the design of the layout for the forthcoming Olympic Summer Games in Rio in August — and managing partner and co-designer Mark Parsinen. It was Parsinen, an American by birth, who developed an earlier success with the creation of Kingsbarns — near to the revered Old Course at St. Andrews — and which opened in 2000 to critical acclaim. Castle Stuart borders on the Moray Firth and provides stunning views of the nearby Kessock Bridge that links Inverness to the North of Scotland. One of the side benefits in having Castle Stuart serve as host is the close proximity to Inverness Airport — nearly walkable from the golf facility. The future for the event looks promising but it will take a sound shepherding to make sure that worthwhile other links venues — backed up with a sizeable sponsorship contribution and involvement – will continue to keep the world’s finest players interested. The Scottish Open rightly celebrates the “home of golf” tagline that defines this wonderful country. Getting the event played at a vintage links course truly assisted in bringing back into focus the roots of the game front and center. With The Open Championship set to begin at Royal Troon next week it is joyous to have Scotland once again at the center of the golfing world.